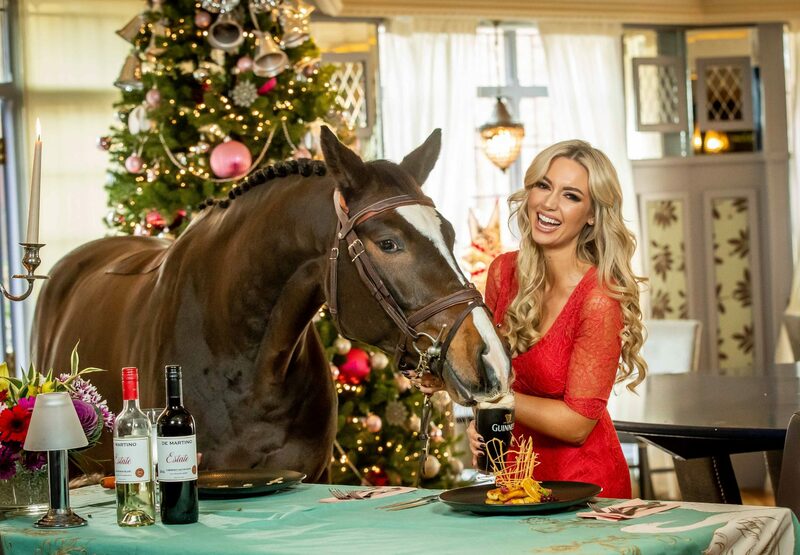 Model, best-selling author and healthy lifestyle guru, Rosanna Davison will head up the fashion judging panel for the Lawlor’s of Naas Grade 1 Novice Hurdle and Winter Ladies Day at Naas Racecourse on Sunday, 6th of January. This premier race is the main event on the opening card of the 2019 calendar at the Kildare track and offers racegoers a fantastic day of racing, fashion and fun. This year’s prize fund for the fashion competition is worth €4,250 and is certainly worth getting your glad rags on for! The Best Dressed Lady on the day will win €1,500 worth of hairdressing and accessories from the prestigious hair salon, Alan Keville for Hair, a €1,500 voucher from Residence Day Spa in Naas and a luxurious stay at Lawlor’s of Naas Town Centre Hotel. There will also be hair and spa vouchers from the two fashion partners for four runners up on the day. 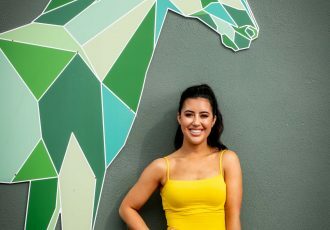 Rosanna will be supported in her endeavours by a representative of each of the fashion sponsors and by Anna Fortune, Commercial Manager of The Kildare Post who is the media partner for the race day. Speaking in advance of the fashion competition, Rosanna Davison said, “Our theme for this year’s fashion competition is ‘fashion through time’, we want to encourage people to create their outfit around their favourite fashion era. The look shouldn’t be too contrived though, it can be subtle with just a nod to a particular era. I will also look for colour - people tend to wear a lot of black in winter, but there is nothing like a splash of colour to turn heads at the races. Finally, a hat or head piece really finishes off the look for me.” Richie Nugent, General Manager of Lawlor’s of Naas Town Centre Hotel commented, “We are delighted to be sponsoring the Naas Racecourse Grade 1 Novice Hurdle for the fifth consecutive year. The newly developed racecourse is a fantastic asset for our town and we look forward to accommodating the increasing number of visitors with our planned expansion in 2020.” The Grade 1 Lawlor’s of Naas Novice Hurdle is the first major race of 2019 and is a great indicator of what horses are set to make waves on the racing scene over the remainder of the season. It is the fifth year in succession that Lawlor’s of Naas have sponsored this race, which will have a prize fund of €90,000 once again. Last year’s winner was the Willie Mullins-trained Next Destination, who then went on to be placed third in the Grade 1 Ballymore Novices’ Hurdle at the Cheltenham Festival. Later, in the season he went on to Grade 1 glory in the Novice Hurdle at the Punchestown Festival in April. The National Hunt season has been heating up this month with jump racing returning to Naas a couple of weeks ago. Some of Ireland’s leading trainers are beginning to unleash some prime candidates for the Grade 1 Lawlor’s of Naas Novice Hurdle at Naas. The Joseph O’Brien-trained Rhinestone and Envious Editor trained by Jessica Harrington fought out a close finish at Naas just over a fortnight ago and could well be two horses to battle it out for Grade 1 honours again at the Kildare venue in January. 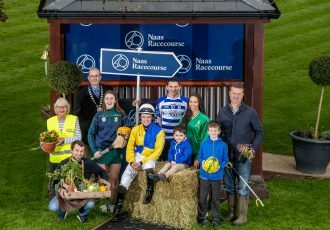 Manager of Naas Racecourse, Tom Ryan, said; “We are delighted to host the Grade 1 Lawlor’s of Naas Novice Hurdle once again this year as it marks the beginning of top-class National Hunt racing for 2019. We are looking forward to welcoming a big crowd to Naas Racecourse on January 6th. The major renovations to the grandstand are almost completed and we look forward to showcasing them. I would like to thank our loyal feature sponsors Lawlor’s of Naas Town Centre Hotel, who have been fantastic supporters to Naas Racecourse over the years.” Naas Racecourse is very much at the heart of the locality and locals are being welcomed along to take in all the fabulous new facilities that have been introduced at the track. Naas traders are being offered a 50% discount on admission tickets and can avail of that offer by emailing Jackie Donohoe, Sales and Marketing Manager at [email protected] There are seven races on the card on the 6th of January, with the first going to post at 12.50pm. Admission tickets are €15 and a range of hospitality packages are also available. For further information, to purchase tickets or hospitality packages call Naas Racecourse on (045) 897391 or visit www.naasracecourse.com -ENDS- Interviews with Tom Ryan, Naas Racecourse General Manager are available upon request. For further information, photography or to arrange a competition for tickets or to interview Tom Ryan, please contact Aileen O’Brien or Patrick Ward at O’Brien PR [email protected] or [email protected] O’Brien PR (045) 407017. Aileen O’Brien mobile (086) 8403624.